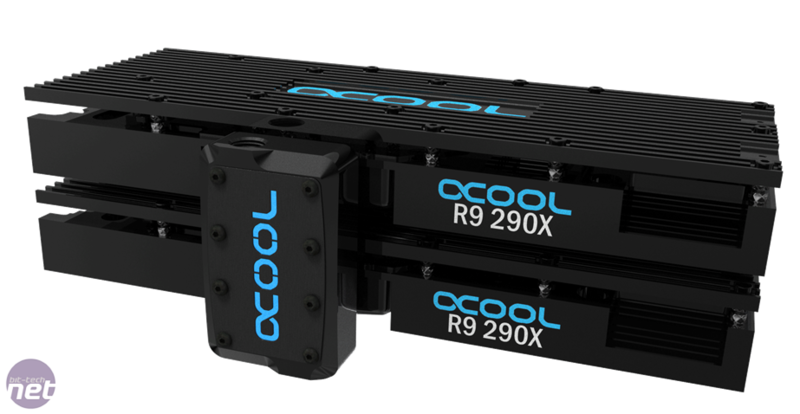 Alphacool has announced that it will soon be able to 3D-scan graphics cards with non-reference PCBs in order to make custom waterblocks far more easily. It has made use of a cutting-edge 3D scanner to accurately measure the PCB to allow it to quickly manufacture custom cooling plates that are compatible with a new range of waterblocks. In addition, it's offering a free waterblock set for your graphics card (see requirements below) in return for you loaning it to the company. This means it can scan your model and add it to its manufacturing database so others can potentially buy it too. In the past, if you owned a graphics card with a non-reference PCB - that is one that's maybe had additional power circuitry added to offer better overclocking or even just a few capacitors moved around, you were very often out of luck if you later wanted to water-cool it. This is due to the simple reason that it wasn't worth the time of waterblock manufacturers to go through their usual lengthy production process to create a new waterblock that far fewer people would buy compared to reference models. The dimensions will be used to create a custom base plate that cools the memory and VRMs, which attaches to a backplate and universal waterblock that cools the GPU core directly. As the waterblock is universal, you can re-fit it to future GPUs and just buy a new base plate and backplate for the new GPU. The baseplate is made from aluminium (at no point does it come in contact with the coolant), and Alphacool claims the mosfets on the card will be cooled to the same level as they would be on an air cooled graphics card running its fan at full speed while the core and ram would see a temperature drop in the region of 30-40°C. The new waterblock range and 3D-scanning service will cater for any Nvidia GeForce 7XX-series model and any AMD Radeon 2XX-series models only at the start, with both reference GeForce GTX 750 Ti and Titan Black waterblock kits available at launch. If you're interested in sending your non reference GeForce 7XX-series or Radeon 2XX-series card to Alphacool, you can contact them directly at www.alphacool.com or via your local Alphacool etailer. Alphacool will also be producing a unique 'multi-bridge' connection system for customers with more than one GPU. The bridge will effortlessly connect the waterblocks as well as letting the customer illuminate the Alphacool logo with 5mm LED’s. To support the modding community Alphacool will be publishing the dimensions of the 'multi-bridge' cover so you have the ability to make your own. Also if there is enough demand for a specific brand or logo Alphacool will be making custom covers available. This could in theory be one way to create a proper water-cooling solution for AMD's new R9 295X2 as well. Do you think Alphacool's idea could be useful? Have you had to opt for reference models in the past as you needed to water-cool them? Let us know your thoughts in the forum.